Few things in life really shock me anymore. I guess the combination of my over 50 years of experience on this Earth, plus my education, and thirty-seven years in the Traditionalist Movement, make it rather difficult for me to gasp in disbelief anymore. Last year, I experienced an exception. In October, a colleague of mine introduced me to a potential client, whom I'll call "Joan" (not her real name). Joan is a teacher, and by all indications, she seemed smart, sincere, passionate about teaching, and concerned about giving her students the best possible learning experiences. I have a place in my heart for teachers, having been a middle school science teacher in New York City for five years prior to entering law school and becoming an attorney. I asked her where she taught, and I discovered she was at a Waldorf School. I had heard of these private schools in my education courses both as an undergrad, and as a graduate student, but they were glossed over for the most part, just like Montessori Schools. (Dr. Maria Montessori, was an Italian physician who also developed a "child-centered" theory of education. She died in 1952). Although I was taught various educational theories, Waldorf education was presented as a place for rich parents to send their kids for a 1960s "hippie" type of learning experience. Children at these schools learn at their own pace, and most don't read until they are about 9 years old. They generally have only two or three teachers from first through eighth grade, because the teachers stay with them for about three grades each (in education, this is known as "looping"). The price is hefty, tuition is about $18, 000 per year (plus additional charges), and many executives from technology firms send their kids there, in spite of the fact Waldorf schools eschew technology for the most part. To educate a child from first grade through high school would cost approximately $235,000 when all is said and done. There are about 1,100 Waldorf schools in the world and approximately 160 are in the United States. I agreed to drive out and meet Joan at her Waldorf school, after the students left, to discuss the specifics of her case. This particular school was in the suburbs, outside city limits, so I gave myself plenty of travel time to get there. I arrived about 40 minutes before the end of the school day. The main office let me in, and offered me a guided tour, which I accepted. I felt like I was in some alternate universe. The only technology was the iPhone 8 I had on me. The school was big, with statues, and a huge fountain with flowing water was in the center of the main hall. The students have no uniforms, unlike most private academy schools, and they were engaged in unusual activities. In one class, they were singing songs as the teacher played guitar, in another, they were finger-painting, and in the courtyard outside, the teacher had the students in a circle reading poetry to them. The "three Rs" were not to be found. Rudolf Steiner was an occultist, and the goal of his educational method is to train children to become clairvoyants who can make contact with the spirit world. I know it sounds like an episode of the Twilight Zone, but I haven't lost my mind. Alarmingly, Joan was baptized in the True Church as she is Italian-American and in her late 50s. Most of the students have Irish, Italian, or Hispanic last names, which suggests they are members of the Vatican II sect, yet this is where they are getting educated. Read the facts below. "A humanity that thinks materialistically will produce frightful beings in the future ... We have two streams today, a great materialistic one which fills the earth, and the small spiritual stream which is restricted to but few human beings ... All materialistically thinking souls work on the production of evil race-formations ... Just as older conditions which have degenerated to the ape species seem grotesque to us today, so do materialistic races remain at the standpoint of evil, and will people the earth as evil races. It will lie entirely with humanity as to whether a soul will remain in the bad race or will ascend by spiritual culture to a good race." (See Steiner, Rosicrucian Wisdom , Rudolf Steiner Press,  pg. 150). There was a poem read aloud in one school (called "Steiner Schools" in England) which said, "The little boy had so much chocolate on his mouth he looked like a n***er." The interracial parents of one child in the class complained, but no action was taken against the teacher for using such language with approval. (See https://www.independent.co.uk/news/education/steiner-schools-have-some-questionable-lessons-for-todays-children-a7402911.html; N-word censored by me). In 1899 Steiner experienced what he described as a life-transforming inner encounter with the "being of Christ." Being a Mason, he hated Christ, but thereafter, his relationship to Christianity remained entirely founded upon this personal experience, and he envisioned it as non-denominational and different from Catholicism, or any other sect which professed Christianity. (See, e.g., Faivre and Needleman, Modern Esoteric Spirituality, pg. 288). Steiner taught that human beings evolve upward as they gain "knowledge of higher worlds" — that is, knowledge of the "spiritual worlds above the ordinary plane of existence." To gain this knowledge firsthand, people must develop clairvoyance. Clairvoyance is the alleged supernatural ability to perceive events in the future or beyond normal sensory contact. Preparation for clairvoyance involves such things as heightened imagination and dream consciousness. (See, e.g., Faculty Meetings with Rudolf Steiner, Anthroposophic Press, ). This man should be a patient in a mental institution, and not running schools. Before getting into the teaching practices of these schools, two questions must come to mind: (1) Are these educators evil? and (2) Why aren't these schools considered religious schools instead of non-denominational? I have culled the information for this post from the series of books, Foundations of Waldorf Education published by Anthroposophic Press, all started by Steiner himself. The first school based upon Steiner's ideas was opened in 1919 in response to a request by Emil Molt, the owner and managing director of the Waldorf-Astoria Cigarette Company in Stuttgart, Germany, to serve the children of employees of the factory. Hence the name "Waldorf." Steiner was an occultist who claimed to have precise knowledge of the spirit realm thanks to his "exact clairvoyance." Everything the schools do operate on these principles. You need to make the children aware that they are receiving the objective truth, and if this occasionally appears anthroposophical, it is not anthroposophy that is at fault. Things are that way [in a Waldorf School] because anthroposophy has something to say about objective truth. It is the material that causes what is said to be anthroposophical. We certainly may not go to the other extreme, where people say that anthroposophy may not be brought into the school. Anthroposophy will be in the school when it is objectively justified, that is, when it is called for by the material itself. As teachers in the Waldorf School, you will need to find your way more deeply into the insight of the spirit and to find a way of putting all compromises aside ... As Waldorf teachers, we must be true anthroposophists in the deepest sense of the word in our innermost feeling. Also: The position of teacher becomes a kind of priestly office, a ritual performed at the altar of universal human life. Waldorf teachers must be immersed in this baloney for three years before they can teach at a Waldorf School. The goals of Waldorf schooling are inseparable from the goals of Anthroposophy, although Waldorf teachers generally deny this, for fear of a public backlash. 2. Is Anthroposophy a religion? Yes.Waldorf schools are covert religious institutions. 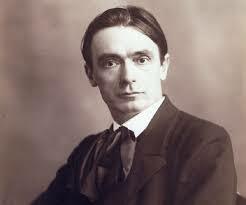 They exist to spread the religion created by Rudolf Steiner: Anthroposophy. They go about this task cautiously, secretively — but they go about it. Sending a child to a Waldorf school means sending her/him to an institution where many, if not all, of the teachers are true-believing Anthroposophists who would like to lead the child and the child's family toward the "true spiritual life" — that is, an occult, polytheistic and Masonic sect. Do not be deceived when Steiner and his followers today refer to "Christ." They do not mean the Son of God worshiped in by Christians--- they mean the "Sun God," the divinity of the Sun known in other faiths by such names as Hu and Apollo. They attempt to mask the religious mission by claiming to be a pedagogic philosophy. 3. Curriculum. One of the main signatures of a Waldorf School is that children do not start to learn to read until much later than other schools; usually around nine years old. Parents are often told there is good research to delay reading. However, the reason for delaying reading is not based on educational evidence but for occult reasons. Steiner believed reading was bad for a child’s soul development and should be delayed as much as possible. The curriculum of Waldorf Schools is designed to help children progress through the stages of "reincarnation" as they grow. Reincarnation does not happen all at once at birth, but develops over seven year cycles. At birth a child is given their "physical" body, at age 7 (or when teeth develop) the child takes on their "etheric" body, at 14 their "astral" body. For Steiner, reincarnation is not just to be reborn after death, it is a continual process through life. What those designations mean, no one knows. Finally, technology is to be shunned as evil spirits. Eurythmy is a form of mystical dancing performed by Anthroposophists and by students in Waldorf schools. It is claimed that this corybantic dancing is "visible speech" opening children to the spirit world and advancing their ability to be clairvoyant. Steiner said, "Eurythmy is obligatory. The children must participate.Those who do not participate in eurythmy will be removed from the school." Basic math skills are introduced during the lower grades, but only lightly. The same holds for other subjects — they generally enter the classroom tangentially and in romanticized form. The introduction to life sciences, for instance, consists mainly of romanticized nature stories. Exposure to foreign languages may begin in the lower grades, but usually without formal study of vocabulary or grammar. Activities such as water-coloring, knitting, and gardening take up a good deal of time — these are deemed to have esoteric value, although parents are often not informed of this rationale. The teachers strive to provide slow learning so the child can be open to his/her "spiritual evolution." The goal is for them to make contact with the spirit world and evolve to their highest potential. Do Waldorf Schools work insofar as getting a sound, basic education ? In 2005, British educational researchers Philip Woods, Martin Ashley and Glenys Woods evaluated Steiner-Waldorf schools for the United Kingdom's Department for Education and Skills. They concluded, "Overall, there is a lack of rigorous research on the impact of Steiner [Waldorf] school education on learning and achievement and little research which systematically compares Steiner and mainstream schools." A 2012 study in the U.S. showed Waldorf schools performing lower than public schools in the lower grades but doing better in the higher grades (8th grade and up). (See Abigail L. Larrison; Alan J. Daly; Carol VanVooren [October 5, 2012], "Twenty Years and Counting: A Look at Waldorf in the Public Sector Using Online Sources". Current Issues in Education. 15 (3)). This delay in learning serves another purpose; parents must keep the children there longer for indoctrination. I did not take Joan's case because of religious objections to working with her. However, here is what I learned: There exists covert occult schools training children to be "open to the spirit world" (read: "demons"). They will be getting jobs in all kinds of careers, including the government. The schools prospered, especially after Vatican II. Many teachers and students are members of the Vatican II sect. Steiner said, "We must do all we can to prepare the child’s soul for what should develop later on as the adult faculty of forming sound judgments. In this way we will do far more for the child’s future religious orientation than by presenting religious commandments or ﬁxed articles of faith at an age when children are not yet ready for them. By clothing our subject in images, thus preparing the ground for what in later life will emerge as religious judgment, we prepare our students for the possibility of comprehending through their own spirituality what they are meant to grasp as their own innermost being — that is, their religious orientation. According to theologian Jone, "Spiritism claims to be able to communicate with the spirit world and endeavors to establish such commerce with it. Although spiritism is for the most part fraud, still the intention alone to enter into communication with spirits is gravely sinful. Therefore, it is mortally sinful to conduct a spiritistic seance or to act as a medium." (See Moral Theology, pg. 100; Emphasis mine). By attempting to make contact with "the spirit world" as a type of medium, both teachers and students are engaged in an objectively evil act. Thousands of students thus educated are taking influential positions in society--most come from considerable wealth. The false pope who started the Vatican II sect was a disciple of Steiner. Can you imagine what effects those taught in these schools will have on the rest of the world? There is a movement to have Waldorf Schools publicly funded, and to introduce "Steiner education methodology" in the public schools. Abraham Lincoln said, "The philosophy of the school room in one generation will be the philosophy of government in the next." With the Church driven underground in the Great Apostasy, and these schools educating those that will run the world, I have to wonder if the end may be closer than we think. Crazy but true, my friend! This school is horrendous. To think that they may get public funding for such evil is absolutely awful. It seems the more bizarre things are the more they are accepted by the general population. To find out that John XXIII was involved in such an abomination goes along with his Masonic affiliation. The Vatican, it seems, has been infiltrated by Satan and his demons more than we can ever realize. Very true, Joann. Do you also notice how they scream “separation of Church and State” to fund Christian schools, yet this nonsense gets passed off as “educational philosophy”? A few yrs ago, I used to get locally grown produce & meat from this small shop & I’d chat w/the owner about homeschooling bc she was exploring options for her kids. One time she told me that she’d decided on the Waldorf method. I told her that I thought that may be something along the lines of Luciferian if I recalled correctly. I never returned and went back to Publix, it was expensive anyway. You were correct! You know more than most about these schools. There is one of these schools in my state, in the same city as an ivy league university. Could there be a connection? That I don’t know, but it is a possibility through the University Education Department training future teachers—yes, Lord have mercy! this rattling easygoing to read. I’m not sure what you mean. Perhaps comment again with someone to assist you who knows English well. I do trust all of the concepts you've presented in your post. Still, the posts are too quick for newbies. May you please prolong them a bit from next time? I try to write my posts long enough to interest people with the topic, and give them all pertinent information. I don’t really have the time, with work, family, and other responsibilities to make them longer. If anyone needs more information on any given topic because they are new to Tradition, please send me a message in the comments and I can guide you as to where you can obtain said information. Introibo, did you know that Wojtyla, future JPII, was a fervent follower of Steiner and incorporated his philosophy into his lucifierian theatrical productions in his youth? I did not know that! Do you have any links/citations? I’d want to read all about it. Thank you for the information! Steiner’s influence extends to Wojtyla too!! Very interesting. PS make sure to read the comments of the article! I am glad to be one of many visitors on this great website (:, regards for putting up. I was in training to become a waldorf teacher because of their emphasis on music. I was shocked when I read the assignments. They were absolutely bizarre. I was an agnostic and was into some strange eastern stuff and Steiners stuff was even too much for me! He suggested that the "astral body" descends when you start losing teeth. I talked with the college representitive in Antioch New Hampshire and he talked about "the medium", meaning Steiner. That was it for me. Waldorf education is occult to the core. Steiner was demonic. I’m glad God helped you see your way out!